IBS Intelligence - Blog: Robo-advisors – as revolutionary as they seem? The rise of the robo-advisor has been well documented over the past year or so. 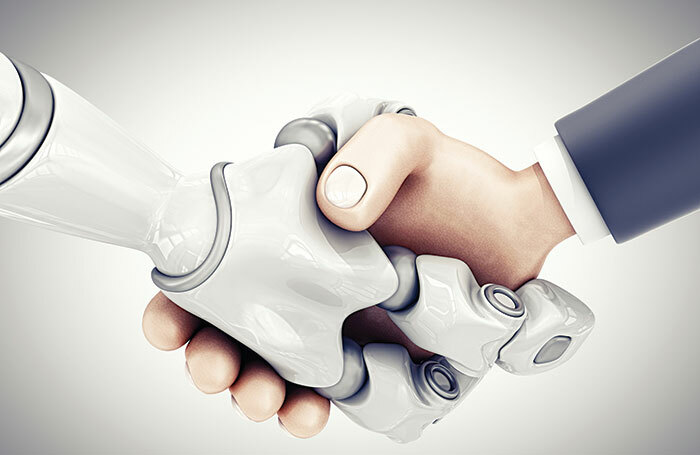 The FCA recently announced an Advice Unit that helps firms develop robo-advisor models, and RBS has also publicised that they will be sacking hundreds of face-to-face advisors in favour of robots. Armed by what appears to be a cheaper, more accessible service, the likes of Nutmeg and Wealthfront have not been shy in their promotion of being at the forefront of opening up obtainable investment opportunities to a wider audience. However, do these bold claims need to be scrutinised further? Is it really a fair comment to say that robo-advisors democratise access to superior wealth management? More importantly, are their economics really sound enough to stand the test of time? Traditional wealth-management services run on an industrial mind-set. Essentially, a range of corporate centre experts design investment strategies. A long value chain spanning risk management, back office and compliance packages the product. This part of the service can be thought of as the factory. The product is then pushed by sales teams and marketing strategies best serving the requirements of the end-customer. However, whether this is the case, or what is actually being pushed are the products that make the most commission, is debatable. customers’ needs. In addition, other painful product features, such as lock in periods, are also thankfully kept to a minimum. Unlike human distribution networks, robo-advisors are nimble: the online interface serves millions at a marginal cost. They are unbiased, and they are run by independent experts, for the customers’ and not for the robo-advisors benefit. Ultimately, because of these benefits, it could easily be said that for the time being robo-advisors are a step forward from traditional investment services. Whilst robo-advisors are taking the industry by storm, it’s too early to say that it is the end of the road for traditional providers. Amid the glowing reports, it is vital to review their strategy and long-term defensible edge before rushing to the verdict that the traditional sector will be forgotten. For example, when it comes to savings, humans have traditionally been a loyal bunch. What is more boring and intimidating than savings choices? Most people will pick an ISA, sign the necessary papers, and stay with that provider for years. Knowing this full well, Nutmeg and other similar businesses raised VC money, advertised in a rather sleepy corner of the industry, and bet that customer loyalty will eventually pay back. However, because robo-advisors don’t span the full value chain (they sell products engineered by others), their margins are tiny and it takes years, if not decades, for a switching customer to pay off. to erode the assumption that customers will remain “sticky”. Further, little other than the fear of lower margins stops banks from launching their own robo-advisors, cross subsidised from other products in their broader customer relationship. What’s clear for now is that banks were yielding such terrible investment advice, that new FinTech entrants with a slick interface added a wealth management blow to traditional banks’ death by a thousand cuts. Whether or not robo-advisors define the future of investing is another question. They undoubtedly replaced humans so compromised by conflicts of interests, that an accessible online interface replaced them. However, in a decade where crowdsourced knowledge killed Encyclopaedia Britannica and stock pickers, robo-advisors still rely on the notion of centrally appointed “experts” – another potential weakness. The answer, as they say, is blowing in the wind. For customers, it’s reassuring to see competition to treat their savings better. Whether or not interfacing with a robot, rather than a human, proves to be the better way to get savings advice in the long run – remains to be seen, especially in the juicier segments where customers may well choose to pay for the service going forward.